i was working from home the other day and had the tv turned onto the cooking channel. not paying too much attention, i happened to look over and see jamie oliver mixing together creating this beautiful mixture of something white and creamy with olive oil, herbs, and lemon juice. the volume had to be turned up. it was cottage cheese he was dressing over the steak and beets. we have cottage cheese consistently on hand these days as our 1 year old loves it. it is such a great staple to have around. it can be a substitute for several ingredients, such as, sour cream on a baked potato. I have never used it as a sauce or very creatively at all. this was something to try. so, i did. oh my gosh. i couldn’t get enough. 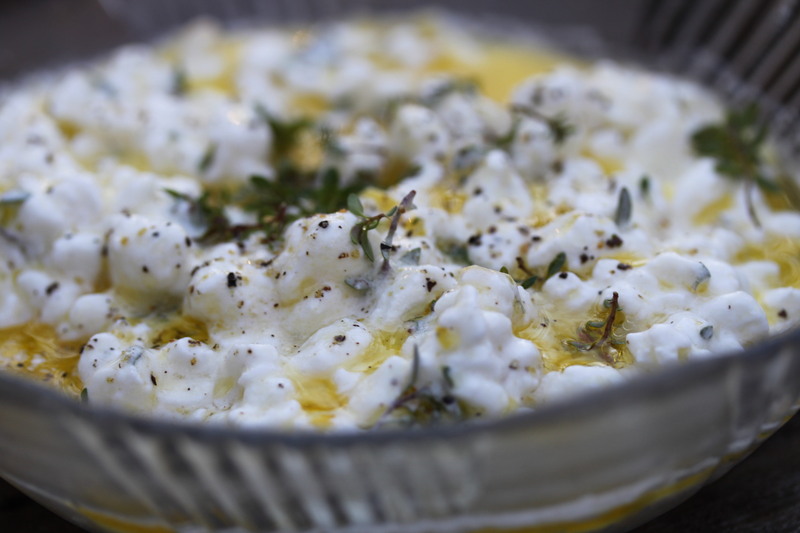 This entry was posted in condiments and sauces, healthy options, Uncategorized, vegetarian and tagged cottage cheese, dressing, jamie oliver, lemon, sides, thyme. Bookmark the permalink.